The feature is currently available to a number of users in the beta version of the app. 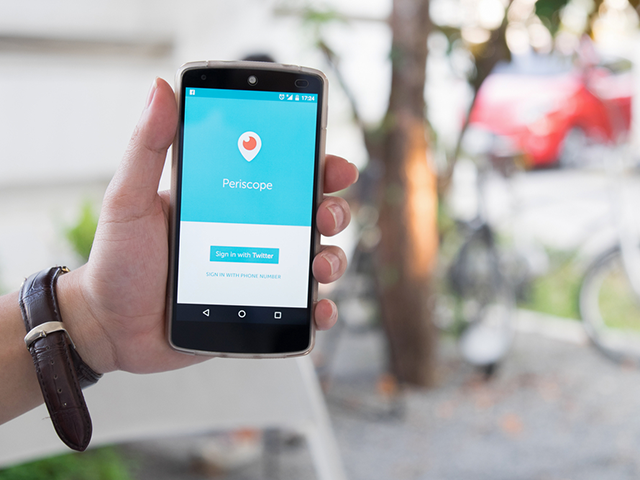 Periscope broadcasters will soon be able to draw on top of their livestreams, reports The Next Web. The feature is currently available to a number of users in the beta version of the app. The Next Web’s Matt Navarra demonstrated the feature during a livestream, available below. When drawing, users will reportedly be able to choose from three primary colors or pick up a color featured in the livestream itself. Drawings remain on the screen for a few seconds before fading away, and users can have more than one line or shape on the screen at once, if they draw fast enough. We’re testing Sketching with a small group of people. This feature makes it fun and easy for broadcasters to draw on the screen while broadcasting. Coming in a few weeks for everyone! Periscope recently celebrated its first anniversary. In a blog post, the Periscope team said the application’s users watch 110 years of content within the app everyday, and more than 200 million Periscope broadcasts have been completed since the app’s launch on March 26, 2015. Readers: Are you excited to try Sketching in Periscope? Image courtesy of Prathan Chorruangsak / Shutterstock.com.